Why use our tip sheet? 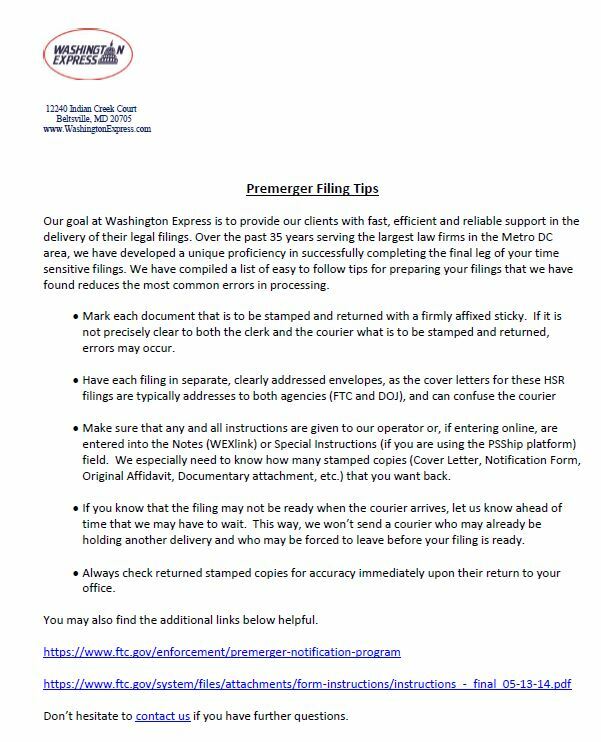 Package and label your filings as we recommend to reduce the liklihood of clerical errors when filing. Prepare the proper information to provide our representatives when placing your order to ensure sufficient information is conveyed to the courier and dispatcher. Find additional resources directly from the FTC regarding filing instructions.